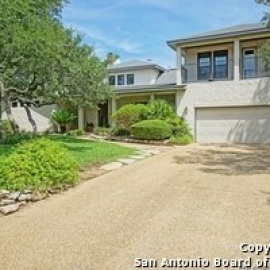 Gorgeous custom home in Desirable North Central San Antonio! 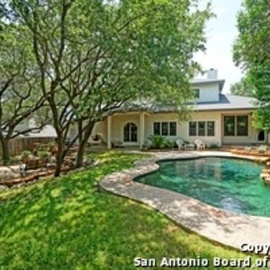 This home features a sparkling pool, outdoor kitchen area, steel framing, triple pane windows, knotted alder cabinets, designer paint throughout, barrel ceiling in the dining room, new carpet in the secondary bedrooms, mature trees, fresh landscaping, and much more! You will not be disappointed with this gem! Sq ft and room sizes are per owner/builder plans. Truly a MUST SEE!